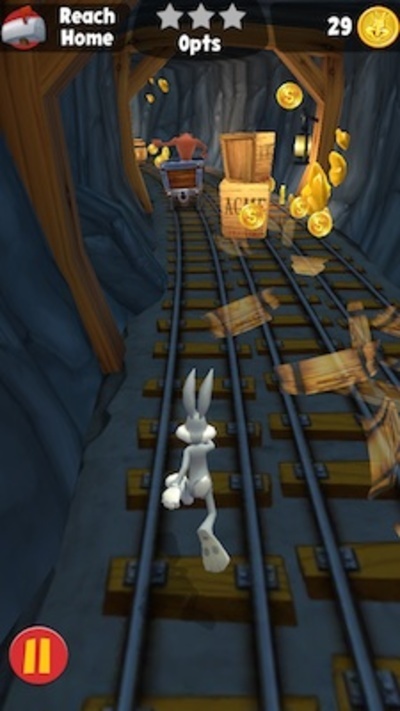 Escape Elma, Wylie E., Sylvester, and a host of other Looney Tunes characters as you speed through tracks collects bonus items. 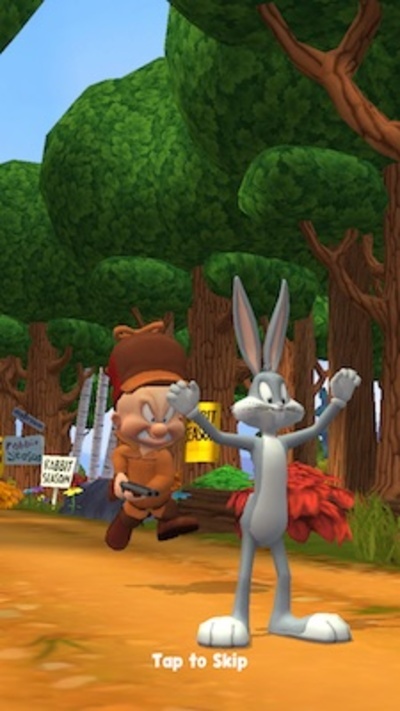 How many of us, growing up, wanted to be a part of the Looney Tunes world? Some of the best characters in history can be found at the Warner Brother's lot, and now we can join them in our very own chase and run episodes. 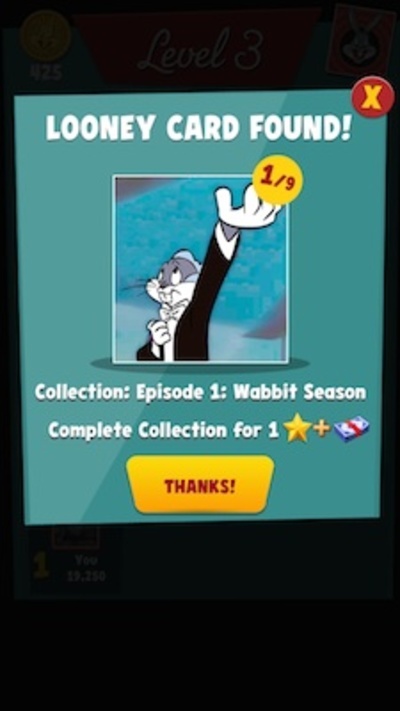 Every sixteen levels you get to take on the role of a different character, including Bugs Bunny, Road Runner, and Tweety Pie. Your mission? 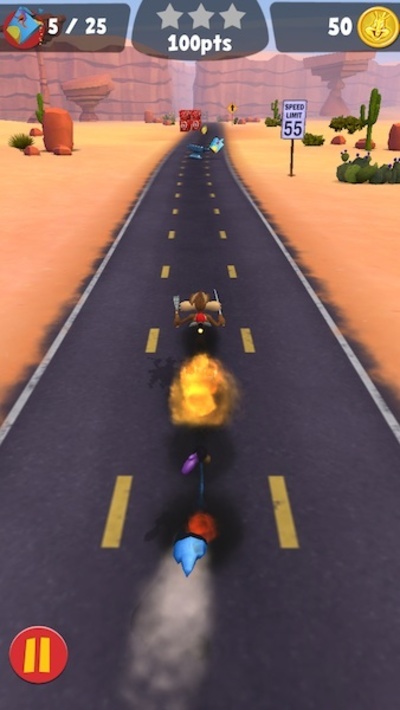 Reach the finish line without getting caught by your not-so-cunning antagonist. There will be plenty of hazards along the way, such as TNT, falling rocks, and martians dropping booby traps, but there is no time to stop for a breather. This is fast paced action all the way. Merely reaching your cave or rabbit hole won't necessarily save you, as there is a quota of collectable items you need to pick up or smash. 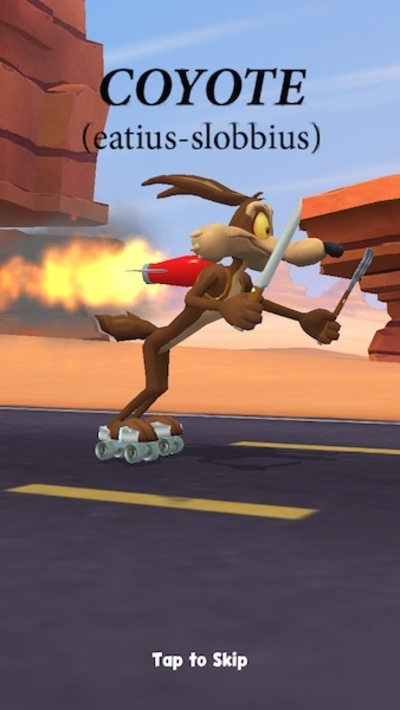 To reach this quota, there are lots of helpful goodies to help you out, like spring boards, Dr. Jeckyl's monster formula, and other ACME items. 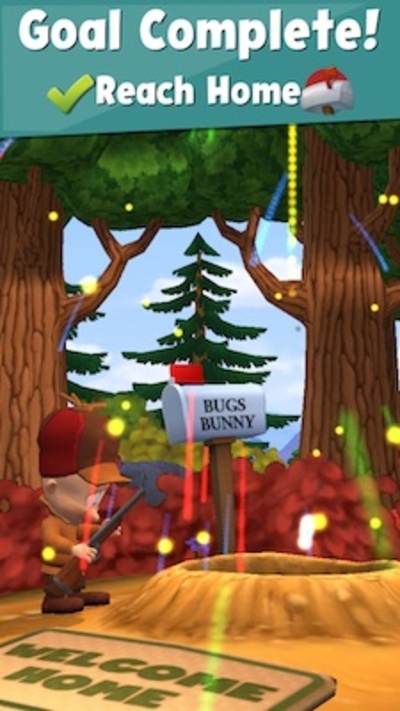 There unlockable items too, such as a card collection, and hats so the characters can run in fancy dress. 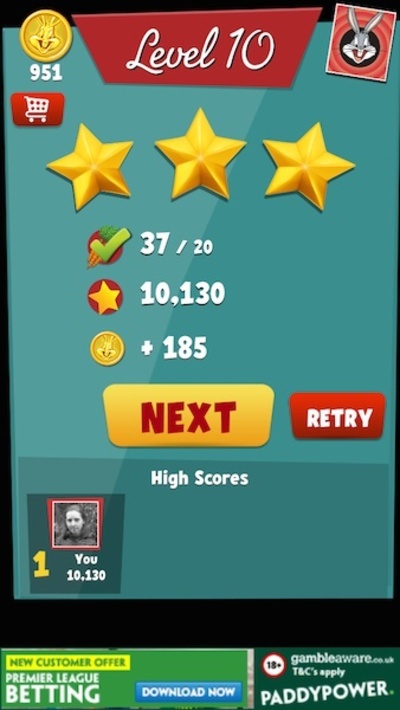 And the end of each level you will be given a star rating and you can either choose to try again, move on to the next level, or buy power-ups with the coins you grabbed during your run. There are also things you can buy with real money, but unlike a lot of app games, these are not in anyway necessary to progress. Another great thing is the amount of lives you have. There are seven in total (after which you either wait a while for them to recharge or pay to continue playing straight away), and I have not yet reached the point where I have used them up in one sitting. 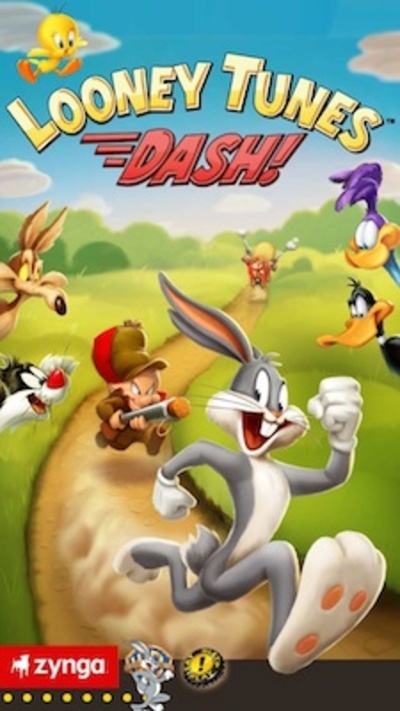 Looney Tunes Dash is a great game, that I am pleasantly surprised is downloadable for free. It definitely deserves to be played.